And are those crocodiles really ‘a-snoozing’? With surfing sharks, skiing snakes, dancing dingoes, leaping lizards and lots more, Michael Salmon’s Aussie characters come to life in pictures and verse. Aussie kids have been bombarded with snowy scenes and strange bird-life (not to mention lords and mild maids) since the fat dude in red was first sighted soaring across the heavens. But now, thanks to the wit and wisdom of Michael Salmon our kids will have a much more recognisable and relevant carol to sing this Christmas. Through hilarious text and busy illustrations bursting with colour, Salmon depicts all the animals we know and love (though maybe not so much the crocs and sharks)—each involved in a variety of mad-cap activities. Humour leaps like a lord from every page. And if the fun illustrations and rollicking sing-a-long aren’t enough to hold the attention of every child within a ten-metre radius, there is the added bonus of a colouring-in picture on the back page. 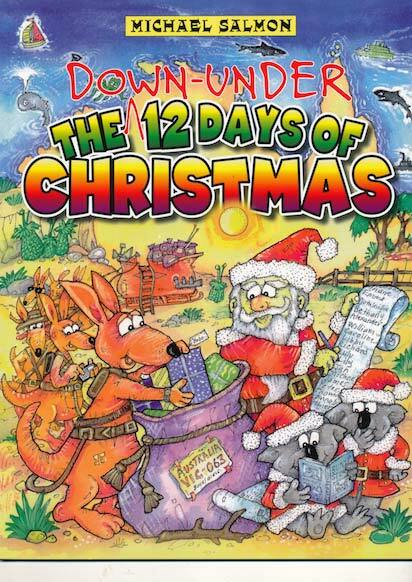 Down-under The 12 Days of Christmas is the perfect stocking-filler. In the classroom, it will pay for itself many times over in the lead-up to the school holidays when teachers are desperate for something to settle their restless charges. 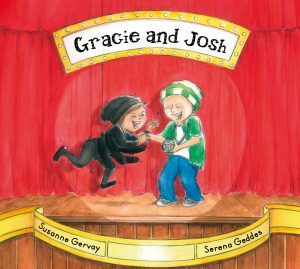 This book is a must-have for anyone with a child in their life. Highly recommended. 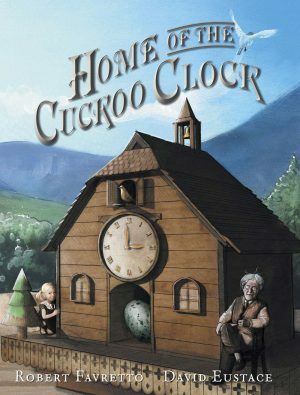 Michael Salmon has been involved in graphics, children’s literature, TV and theatre since the last ice-age (almost). Among his multitude of credits, which include the ever-popular, Alexander Bunyip (ABC TV), Michael has written and illustrated more than 160 books.